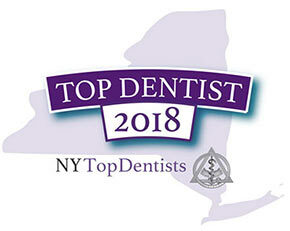 Implants vs. dentures is a debate that your Brooklyn cosmetic dentist can help you settle. You have options when it comes to tooth replacement options. A lot depends on your overall health, your dental health and your budget. You may even decide on a combination. Talk to your family dentist to get the real skinny on implants vs. dentures. Loss of teeth due to aging, disease or accident can cause significant changes to your lifestyle. Eating, speaking and smiling all become concerns. 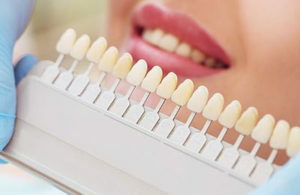 With your Brooklyn cosmetic dentist’s help, you can explore your options for replacing missing teeth to make you happier in your day-to-day activities. Understand your choices — and the pros and cons of each — in regards to implants vs. dentures, and you and the best dentist in Brooklyn can make the right choice for you. As with many dental procedure, choosing the best treatment has many variables, such as your dental and medical health, your expectations and financial considerations. Initially, dentures are more cost-effective than implants. If your jaw or gums are weak or unhealthy, dentures may be your best option. With immediate or temporary dentures, you don’t have to go without teeth, although these options can be costlier. If you have sensitive teeth and gums, there’s no healing time from incisions or discomfort from possible chewing pressure while waiting for the implant procedure to heal. Immediate dentures act as a bandage right after tooth removal, controlling possible blood loss and protecting sensitive gum tissue. Immediate dentures allow you to begin adjusting any changes in your speech right away. If you have experienced gum or bone loss, dentures can work well for your needs. Dentures require no drilling into the bone. Dentures can be made relatively quickly. If the dentures aren’t secured properly with dental adhesive, they may slip while eating or speaking, causing discomfort or embarrassment. Partial dentures that don’t fit correctly, possibly after bone loss or facial movement over time, can cause infection or decay in the surrounding, natural teeth. Since dentures rest on top of your gums, resorption or bone loss is a very real issue, with changes in your jaw and facial structure possible. Immediate dentures do entail additional costs. Dentures can feel or look fake or unnatural when comparing implants vs. dentures. You must purchase cleaning creams and adhesives, adding to your original costs over time. Dentures restrict chewing capacity, so you may have to alter your diet. Due to wear and tear or facial structure changes, dentures have to be remade or adjusted eventually, with replacement common every seven to 15 years. Healthy jaws and gums make implants a stable, long-term option, especially if only a few teeth are missing. With good oral habits, implants can last 20 to 25 years. Even if more than one or two teeth are missing, implants can serve as a base of support for other dental replacement options. Your Brooklyn cosmetic dentist may suggest implants as a way to preserve your remaining jawbone, halting bone loss and maintaining your facial structure for a more youthful appearance. Because implants are securely attached to your jaw through a process of bonding the implant to the jawbone called osseointegration, they’re a strong, stable option. Mimicking your natural teeth means the fit is comfortable. No creams or adhesives are required. Your normal chewing and speaking capabilities are restored. Care and cleaning is the same as natural teeth. Implants have a better than 95 percent success rate. Initially, implants are costlier since they involve surgery. Insurance companies don’t always cover implant costs. You must have healthy gums and bone for implant surgery. A surgery always opens the body up to the possibility of infection. There’s a slim chance of damage to surrounding teeth, gums, blood vessels or nerves. If you have insufficient bone mass and don’t receive a bone graft, the implant can be incorrectly positioned. Bite issues sometimes cause implants to fracture. Smoking, poor physical health, high blood pressure and inadequate bone structure raises the rate of rejection, maybe making dentures a better option. Sinus issues with implants in your upper jaw, including pain and inflammation, are rare but possible. Most implants require multiple visits to your dentist to properly prepare and place. The procedure to get implants is much more invasive than getting dentures. Replacing missing teeth makes your life more comfortable and your appearance more pleasing. You receive the added benefit of being able to eat and speak properly. An accurate assessment of your health and expectations helps your Brooklyn general dentist customize the best possible treatment options of implants vs. dentures considerations. Do you have any questions about the Dentures vs Implants? 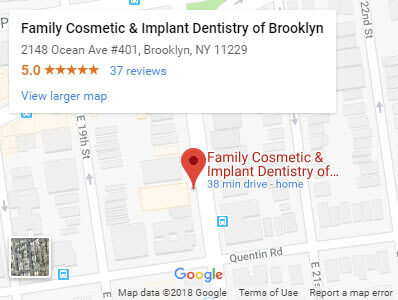 Would you like to schedule an appointment with the best rated Brooklyn implant dentist Khabensky DDS of Family Cosmetic & Implants Dentistry of Brooklyn? 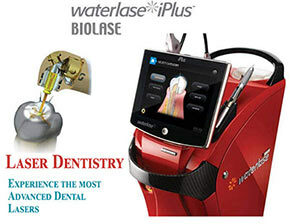 Please contact our dental clinic for consultation with the dental implant dentists Alex and Igor Khabensky DDS.